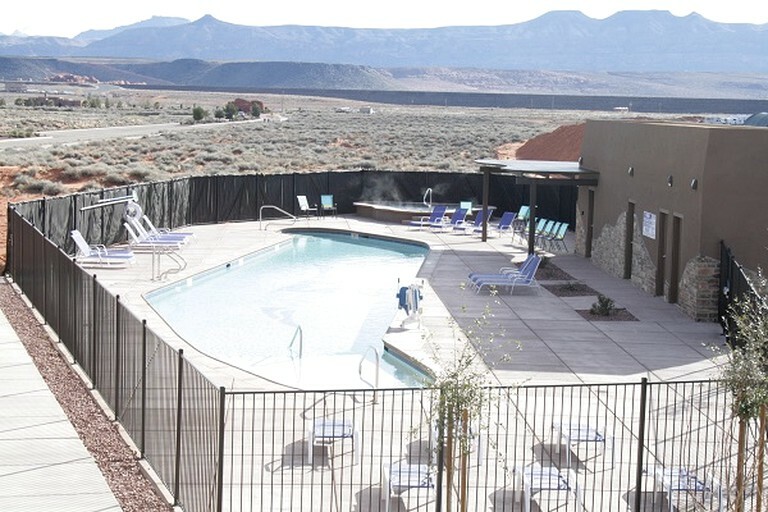 This family-friendly vacation rental is located only 45 minutes from Zion National Park, Utah, and can accommodate up to eight guests. It’s the perfect destination for glampers looking for a luxury golfing break, as it’s situated on an outstanding golf course. 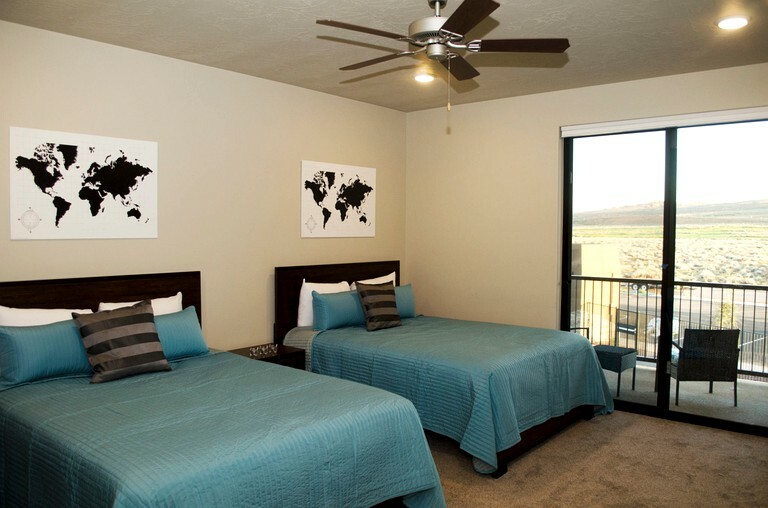 There are two beautifully-decorated bedrooms, with plush, comfy beds, and two full bathrooms. 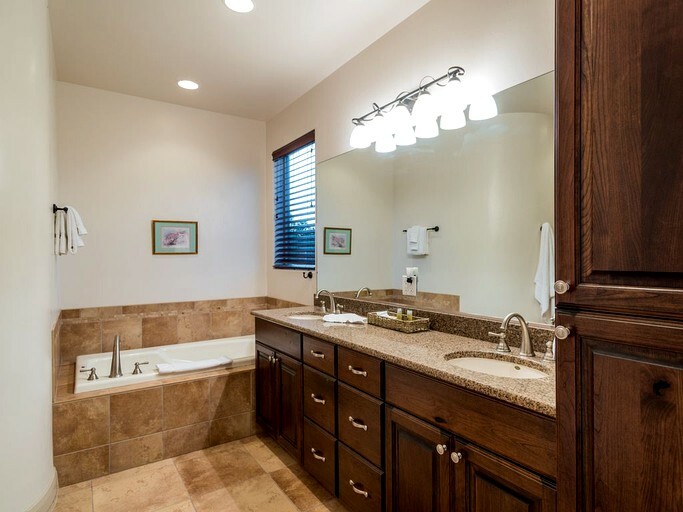 In the bright, modern bathrooms, guests will find a toilet, a sink, and a shower, or a bathtub. The bathtub in the accommodation is a large “soaking tub”, perfect for relaxing and unwinding after a busy day outdoors. Freshly-laundered linens and towels are provided by the host, along with a selection of complimentary toiletries. In the generous living room, guests will find two large leather sofas, and a cozy armchair, meaning there’s plenty of seating space for everyone. For entertainment, the lounge features a big LCD flat screen TV, with a great selection of cable channels. The living area is an ideal place for glampers to get together in the evening for drinks and a chat, or a fun family movie night. 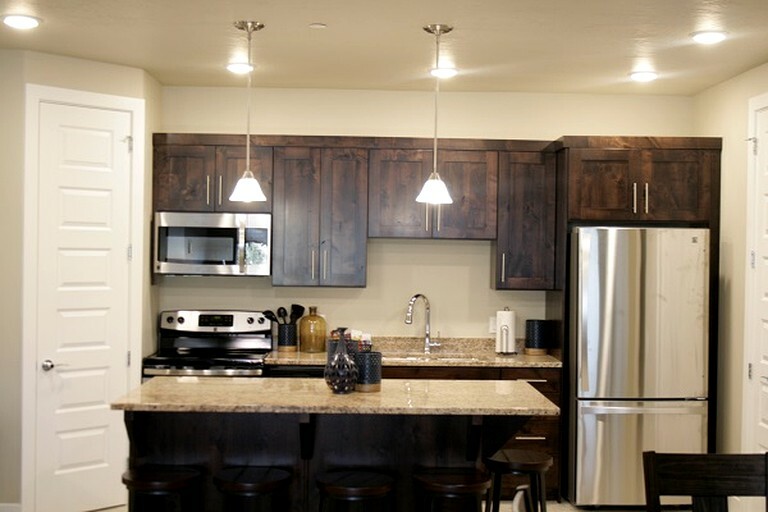 The fully equipped kitchen comes with a fridge, a freezer, an oven, a hob, and a microwave. Next to the cooking area, there’s a dining area big enough for everyone to sit and enjoy long, sociable meals. This space also includes a breakfast bar, where guests can hop onto a stool for snacks or coffee. Other amenities in the suite include air conditioning and heating, Wi-Fi, and a hairdryer. There are some fantastic facilities on offer at this property. As well as a seasonal outdoor swimming pool and a Jacuzzi, guests will have access to a fitness center, a terrace, a lounge, and a snack bar. A concierge service is available for any assistance that might be needed. There is a picnic area on the property, which includes outdoor barbecue facilities. Throughout the accommodation, glampers will benefit from free Wi-Fi, and there is plenty of free parking space on-site. 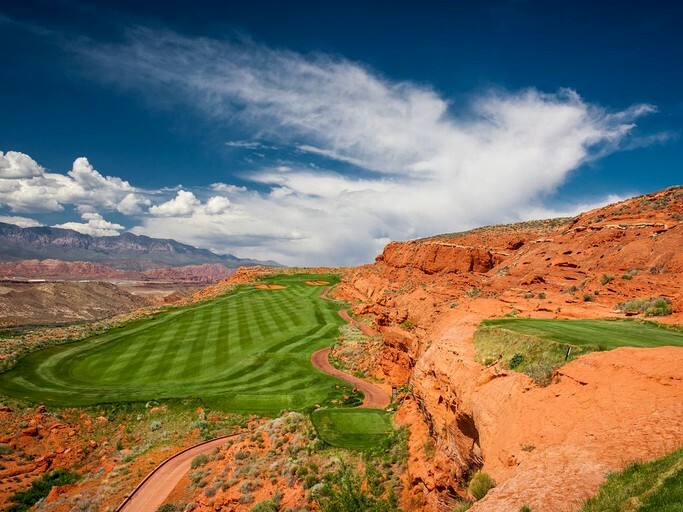 Guests can take advantage of preferential fees for use of the property's golf course amenities. This region is famous for its wealth of outdoor activities. 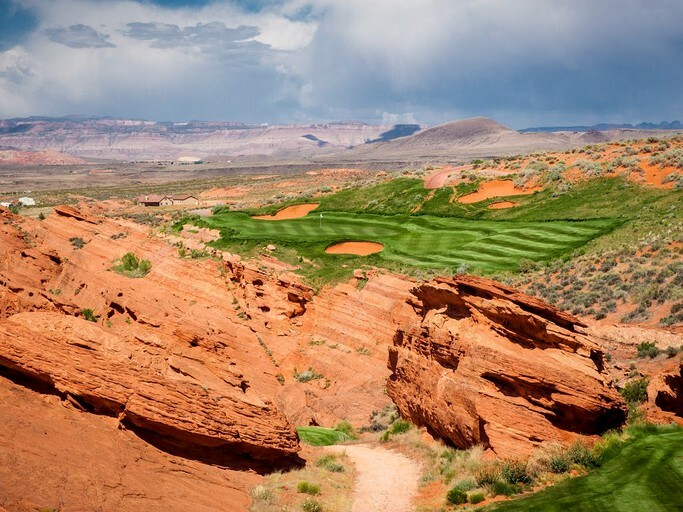 At the resort, guests can enjoy preferential rates on the golf course and can choose between a championship course, a links course, and a mini golf course. Just on the doorstep, glampers will find the beautiful Sand Hollow State Park, with its huge reservoir. In the park, there are great trails for walking and biking, and on the water, there are plenty of opportunities for swimming, boating, and water sports, including water skiing, wakeboarding, tubing, knee boarding, and wave running. Keen fishermen will be delighted to know that the reservoir boasts some of the best bass fishing in the whole of Utah, and for those who just want to relax, there are clean, sandy beaches for sunbathing and picnics. 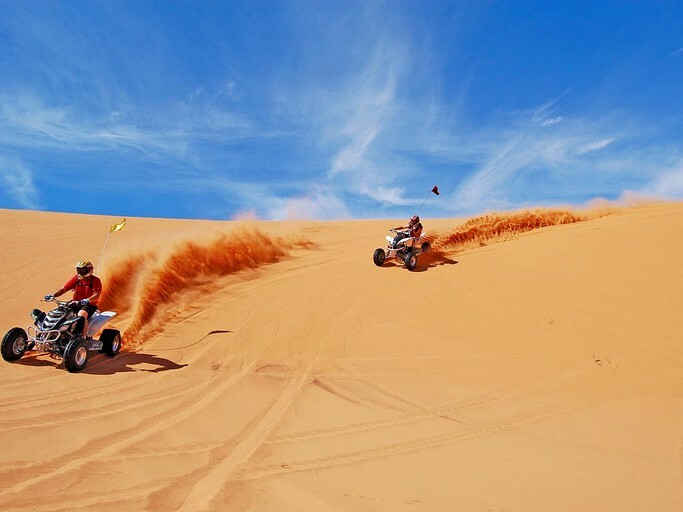 The trails around the property are perfect for an ATV adventure, and it's possible for guests to book this at the resort if they find themselves in need of an adrenaline rush. Seasonal winter sports are on offer less than 90 minutes away, in the Navajo Mountains, where there are 71 trails, for skiing, snowboarding, snowshoeing, cross country skiing, tubing, and snowmobiling. The nearby Zion National Park is well-known for its outstanding natural beauty and is popular with visitors who want to go hiking and climbing. There are also guided horseback trail rides available. It's a superb place to view the native wildlife, and nature lovers can spot wild turkeys, mule deer, golden eagles, big horn sheep, and mountain lions, among others. 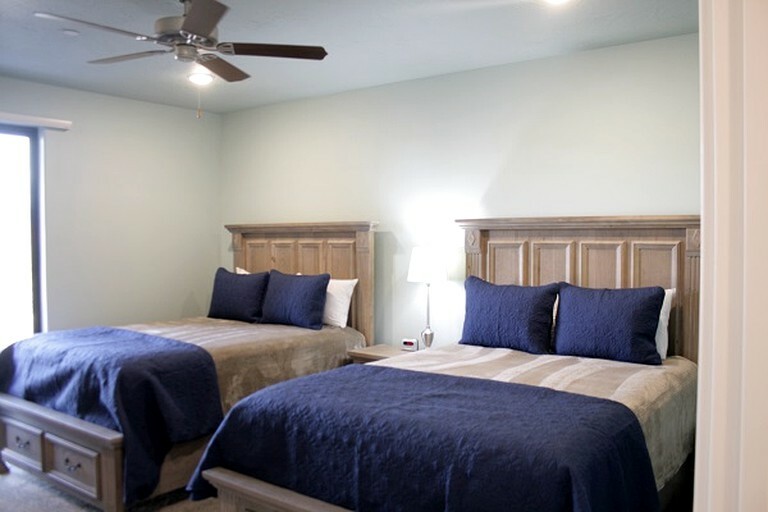 Glampers who enjoy shopping and dining will love the fantastic selection of stores and restaurants in the city of Hurricane, which is only 15 minutes away from the property. This property has a minimum renting age of 21. There are no pets allowed at the property. Smoking is not allowed in this accommodation.